Is our future worth a conversation? We all know that climate change is the biggest challenge currently facing humanity and that we all need to take action now. But it is often confusing, overwhelming and hard to even talk about. Yet talking about climate change can be one of the most powerful things you can do! 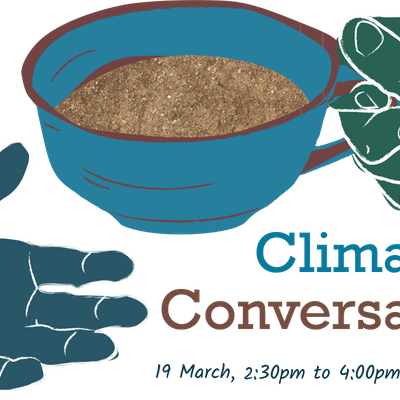 So join a group of concerned locals for a relaxed chat about climate change – what it means to you and what the practical actions you can take to tackle it here at St Andrews. 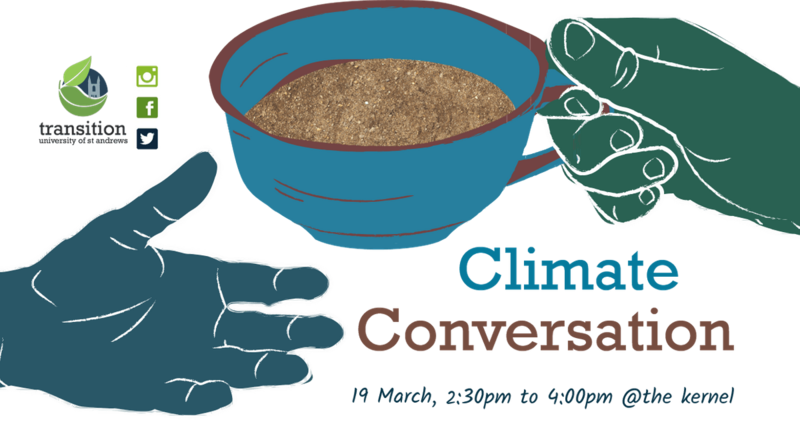 The session will be supported by facilitators in training, and is one of a national series of Climate Conversations taking place across Scotland, funded by Climate Challenge Fund. We are also looking for volunteers who would like to be trained as facilitators to help us run similar events in the future. The training is free and will be taking place over 2 days, 18th and 19th of March at Transition St Andrews offices, Observatory Workshop, Buchanan Gardens, St Andrews, KY16 9LZ. For more information and booking please get in touch with Kaska at a2FoMjUgfCBzdC1hbmRyZXdzICEgYWMgISB1aw==.